The crane scale PCE-CS 300 is a reasonably priced crane scale for in-house control weighing. The power source of the crane scale are four AA batteries. 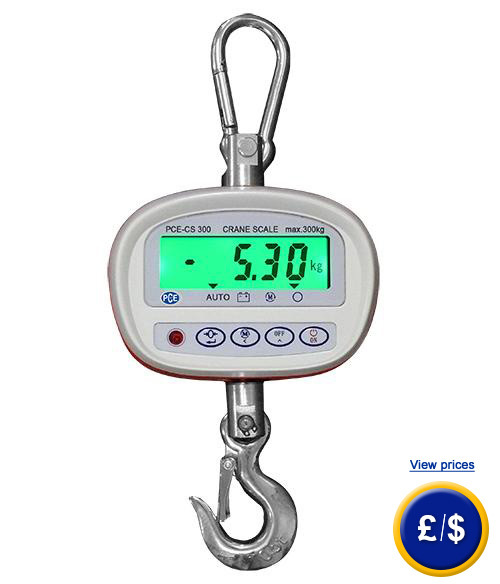 This crane scale covers a measuring range up to 300 kg. For exact dosing the crane balance features a tare function. 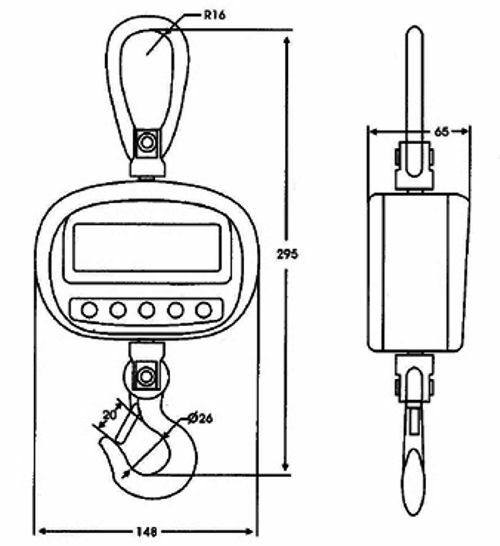 The crane scale is delivered with a hook, a karabiner and a remote control. The robust design of the crane scale allows an application under rough industrial conditions as well as areas of trade, food, transport... 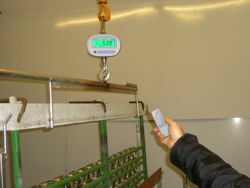 The crane scale will be calibrated by the manufacturer before delivery. 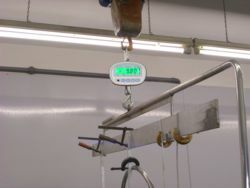 For conformation to ICO certification the crane scale can be also calibrated in a laboratory (optional with additional charge). 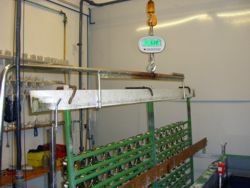 All in all a well-prices crane scale for practical application in-house. If there are any questions about this Crane scale PCE-CS 300 please have a look at the technical specification below or call: UK customers +44(0) 23 809 870 30 / US customers +1-410-387-7703. Our technicians and engineers will gladly advise you regarding all crane scales and all products in the field of measuring instruments, regulation and control and scales. - Karabiner hook and hook incl. Please read the special instructions regarding the operation and maintenance of the crane scale (Instructions on the crane scale). The calibration procedure includes laboratory calibration process and ISO certification. 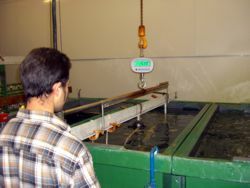 It guarantees that the weighing performance can be related to national standards.